Location: In the churchyard of St Issell's at the N side of the church, on sloping ground. A mediaeval preaching cross, in sandstone, about 1.5 m in height, consisting of a worn shaft with arms on a socket-stone and plinth. It is on a base of three roughly-constructed steps. The shaft and the arms are of octagonal section. At the foot of the octagonal section are broach-stops and the lower part of the shaft is square. 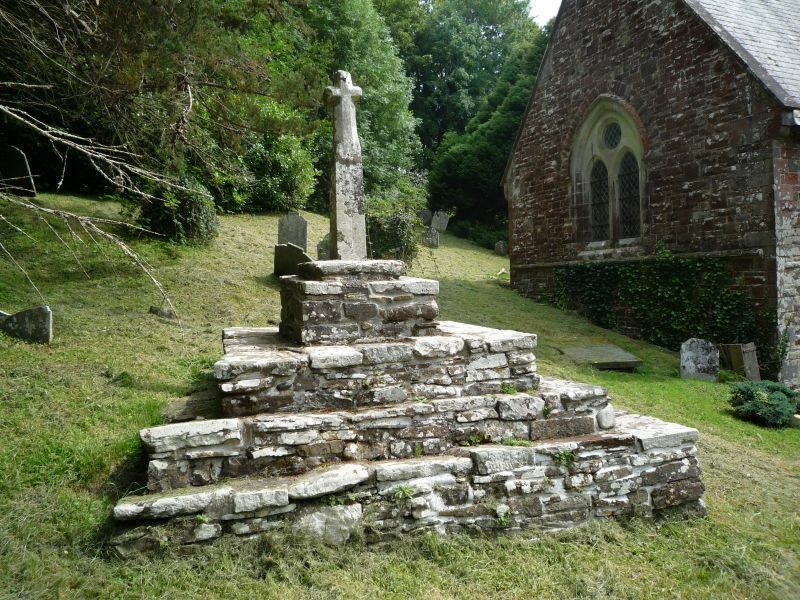 Listed as a significant surviving example of a medieval preaching cross, and for group value with st. Issells's Church. 1Km N of the village of Saundersfoot. The church stands in a large undulating graveyard through which a stream passes. Forms the rear entrance to the churchyard, close to the Old School. Forms the main entrance to the churchyard, close to the war memorial. Mid way in the N side of the churchyard. In the western extension of the churchyard, beyond the stream that bisects it. In private grounds to the S of the B4316, about 1 km NW of Saundersfoot village. Located to the SW of Hean Castle, on the right hand side of the main approach from the W gate. The column stands in front of a little gazebo set into an earth mound. On high ground 1 Km N of Saundersfoot village, in a fine setting in extensive private landscape gardens. The main front overlooks a terrace with a low parapet wall. Gardens to the E.